The rumored 5.5-inch iPhone 6 phablet is going to be enormous, though Apple obviously still wants it to be thin - and therein lies the problem that's reportedly been plaguing the device since April. Apple's normal manufacturing partners were supposedly having trouble making a battery that was thin yet powerful enough to meet Apple's standards for the new iPhone. However, that problem has apparently been solved. Apple has partnered with a new supplier, a Taiwanese firm known as Simplo, that quickly provided a battery that will get the 5.5-inch iPhone 6 back on track for release, according to Taiwanese site UDN.com. The original report back in April said Apple couldn't find a battery that was just 2mm thick while retaining a sufficient lifespan, but Simplo has apparently delivered just that. The new battery is reportedly flexible as well. That means that one of Apple's old battery suppliers, Dynapack, is now out of the picture, though one called Desai will continue to work with Apple alongside Simplo, according to UDN. In addition there may be a third supplier - Sunwoda - which was already rumored back in June to have solved the battery issue. It was rumored earlier in July that the iPhone 6 phablet will pack a 2,500mAh battery, a massive increase from the iPhone 5S's (though perhaps not sufficient for such a large device, by some estimates). An increase is appropriate, given the rumored 5.5-inch iPhone's larger surface area and the more substantial demands of powering a larger screen and other components, but you can see where Apple may have run into trouble if it wants to keep the phone as thin as possible. 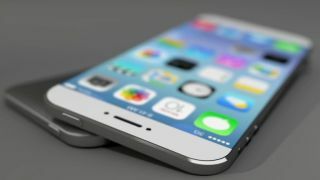 The remaining question is whether this massive new iPhone will arrive in 2014 or be delayed into next year.